My husband and I travel once every 2-3 years. 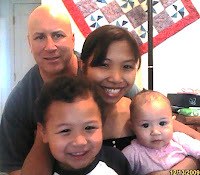 Last 3 years ago we went to the Philippines to visit my family for 3 weeks. It was fun and memorable, I can't wait to visit them again and see my mom. But this year, this coming August, we plan to visit California to attend convention and also to renew my passport in San Francisco. The rest of the week, we will go to the nice places in California. I am kind a excited but how much more if we go to one of the Carnival Cruises! I heard a lot about Carnival Cruises and how exciting and fun it is. My friend went to one of the carnival cruises last year and she told me a lot about it. I also see a lot of photos she took and I wonder if we can also go to one of the popular carnival cruises next year. But will see, of course we need to save money for that, I am sure the kids will love it! Have you ever been to carnival cruises? I am sure some of you do. If you never been to carnival cruises, then its time for you to book a reservation for the hottest carnival cruise vacation! You can visit and check out these hot deals at cruisevacationcenter.com or call this number at 800-803-7245.